Artificial Intelligence has made its way into so many crucial aspects of our lives whether it be in medical care, transport, or even catering, but there are also so many areas where AI has started to be implemented without us even knowing such as…surprise surprise the beer industry! All around the world, a popular pastime is the consumption of beer, and we are beginning to see the increasing use of AI and machine learning in various aspects of the beer industry, from production, to marketing and sales all the way, in some cases (as I will mention) to the final service. We begin with a case where AI systems are being used to collect data and improve the product specifically for its consumers specific needs and wants. 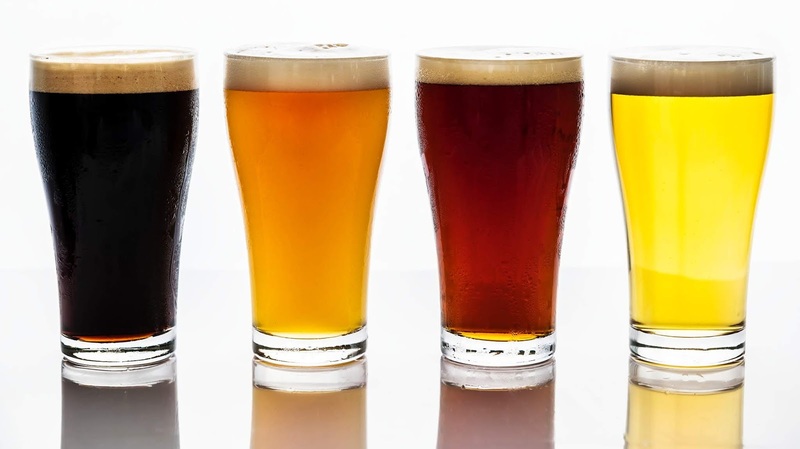 IntelligentX is the world’s first company using machine learning and AI algorithms to help adjust the recipes of (as of this moment) its 4 main beers. It all starts with the consumer! On the bottle there is a URL which customers are urged to follow in order to answer 10 simple questions giving their opinions. This provides the business with hundreds of thousands of data points which are then fed into an AI algorithm. The product of which are insights into the opinions of customers of varying aspects of the beers which can be used in the making of important product decisions going forward. In this case we can see that AI is being used to improve the overall product experience from start to finish. As in many other uses of AI and machine learning across a variety of industries, the needs of the consumers are being examined and often satisfied to a higher degree tan would be posible from a workforce purely consisting of human beings. However, not wanting to stop there, having delved further into the topic of artificial intelligence in the beer industry, it is not only these smaller innovative companies taking the leap into this advanced field. Industry giants Carlsberg, in 2017 launched a new research project aptly titled ‘The Beer Fingerprinting Project’. The idea is to use a series of high-tech sensors to gauge ‘the delicate nuances and aromas within the beer’ which would enable the company to create and layout a unique ‘flavour fingerprint’ for each of its 1,000 samples created daily. The information collected would allow the exploration of new brewing organisms, aiding the creation and development of new beers with unique and innovative flavours. A final interesting implementation of AI and machine learning in the beer industry which we would like to share with you is in the way the service is provided to the customers. According to research, there are two aspects of ordering a beer which directly impact on the satisfaction of the customer who consequently consumes it. These are firstly the way the beer is poured and the quality and amount of foam on top. As a result, an Australian research team have created something called RoboBEER, a robot which can accurately and consistently pour a pint of beer to what has becomes viewed as a high standard through the research detailed below. Through a video created of this process in action and it being showed to research participants, an AI machine was able to collect 28 pieces of biometric data for each participant. This was in turn, fed through a neural network allowing the researchers to see what the participants thought of the beers without even tasting it to a 90% accuracy and an 80% accuracy for if they liked the size of the foam head. In all, these are exciting advances in the use of AI and machine learning within this industry where more businesses are seeing the profitable opportunities which the investment into this sector can offer. Ultimately, once these technologies can be adopted across the sector at prices feasible for all types of businesses, we could expect a time when the beer industry is no longer human-orientated processes and that artificial intelligence has become the dominant power throughout all processes. On one hand, many people see this as a negative thing with the possibility of job losses amongst other things, but for consumers, the quality of the product and the efficiency of service will all be greatly enhanced. This once again poses the question of whether AI and machine learning poses a threat or a unique opportunity and some people think that in some consumer-based industries, it may be necessary to move in this direction no matter the opinion of the workers.